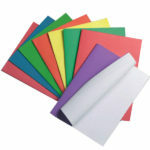 We supply all your office and school label requirements. 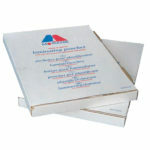 All our labels are available for immediate delivery. 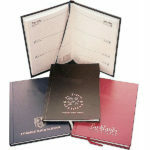 If you have any special requirements, please let us know on 0808 141 3350. 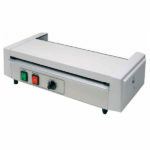 Q-connect, easy peel, self adhesive address labels on a roll. 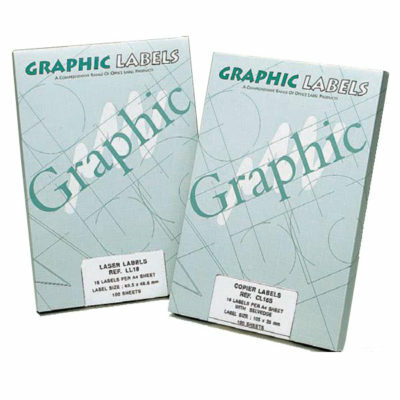 A4 graphic multipurpose labels available in various sizes. 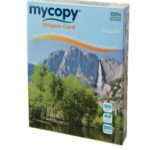 Ideal for use with most laser, inkjet and copier machines. 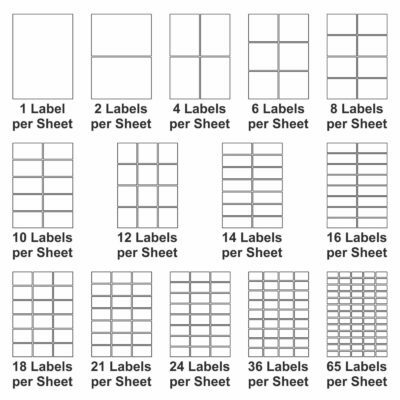 A4 Muti-Purpose Labels available in various sizes, ideal for use with most laser, ink-jets and copier machines. 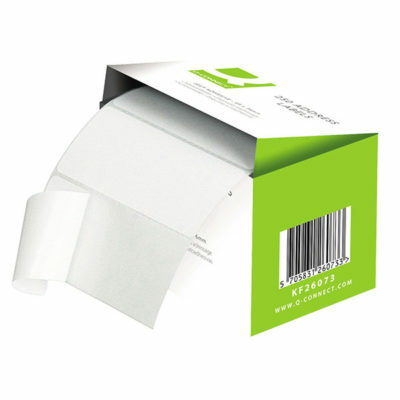 Q-connect self adhesive address labels on a roll. 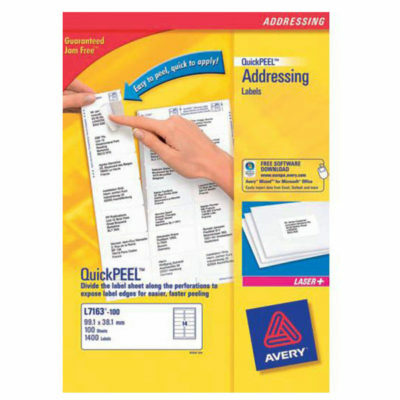 Avery quick peel address labels on A4 sheets of paper.